Los Arrieros Authentic Columbian Cuisine - Baby Point Gates B.I.A. Look who got a make over! 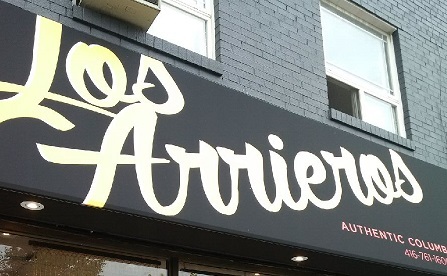 Los Arrieros Restaurant, located at 276 Jane Street, installed a new black awning with bold graphics proudly displaying their name. The eye catching signage, which compliments the new dark grey painting of the building facade, is sure to catch the attention of new customers! 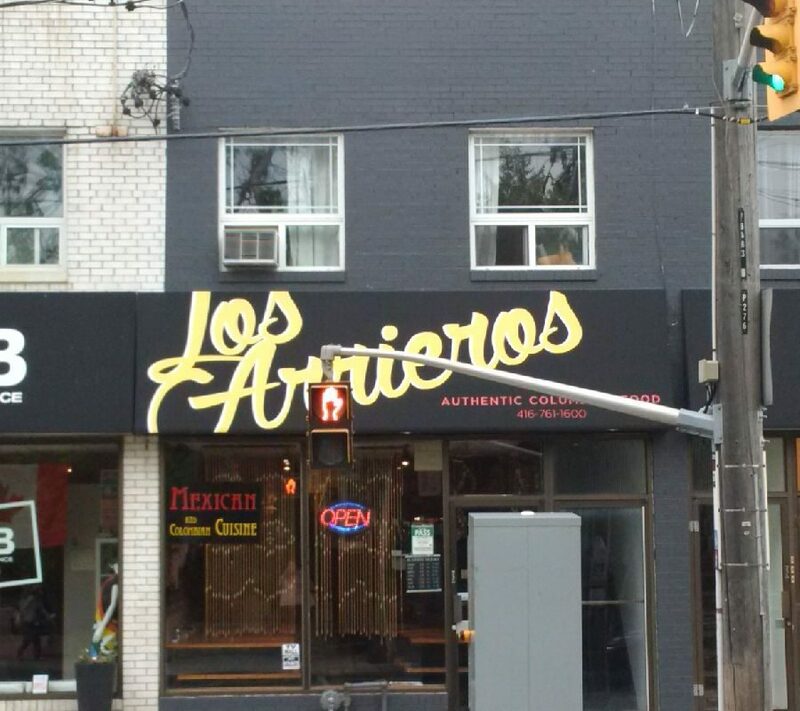 Los Arrieros has a loyal following of customers who grew up on traditional Columbian / Mexican cuisine and we all know that if the locals eat there, then the food must be good! Be sure to try the Sopa de Mariscos (seafood soup) which is fantastic. It has all the seafood you could hope for – shrimp, whitefish, mussels, clams, crab, octopus and squid.